Just think about this, the human body is not destined to sit and stay still, to sit all day, to be in an office or in front of a computer. Our bodies are designed and intended to get exercised. Weight training follow exactly what you body was built for. It builds your anaerobic endurance, it gives your muscles strength, it benefits your heart, it helps you lose weight and it improves your balance. It makes you feel and good better and it gives you a better overall health. Weight training is the exercise where weights are used and you basically apply force to those weights. It is a form of exercise of exercise where you develop your build your muscles and you develop your stamina. In the case of weight training it is the force of gravity that is being used to accomplish the contraction of your muscles. You give force to an outside resistance and it is this force that helps you build and develop your muscles. Weight training helps you both lose and gain weight in your muscles. With this form of exercise, you use specialized equipment and weights to target the muscle groups that you like and to achieve the types of movement that you like. If you really wish to lose weight and even more you want to achieve long-lasting fat loss then you should start weight training. Bear in mind that that as you build lean muscle tissues you instantly increase the rate of your calorie burn while you are resting or during any activity. To put this in a more simple way, I could tell you that: the higher muscle mass you have the more calories you burn in a natural way which means that you burn your fat both while you are building you muscles and as while maintain them. You really want you body to increase you metabolic rate? Start weight training because this will increase your metabolism and will cause your body to burn more calories during your day. How does this work? Weight training develops and builds your muscles thus it raises your metabolism. That means the bigger and more the muscles the more energy your body needs to repair components in your body. As a result, you metabolize proteins, fat and carbohydrates more efficiently and faster and you also make a better use of the food you eat. Isometric weight training which requires you to contract your muscles against a non-moving object such as the floor while you do push-ups. Isotonic weight training which asks you to contract your muscles with a range of motions such as weight lifting. With resistance training you get in a better shape by building your muscles and toning up the flabby parts of your body. You will see that as you progress with your weight training you will have no difficulty doing your everyday tasks. Weight training is vital when it comes to building you muscle mass, losing weight and fat and changing your body. Have you been feeling that you do not have so much energy throughout your day? Then read this: weight training does not only give you energy but it also reduces your stress. Let’s say that you have been in your office all day long. While you train with your weights your body releases the endorphins which give you energy and decreases your stress. This is indeed an amazing feeling if I can speak from my experience. You will not only feel less-stressed and more energetic but you will also look forward to your nest workout. 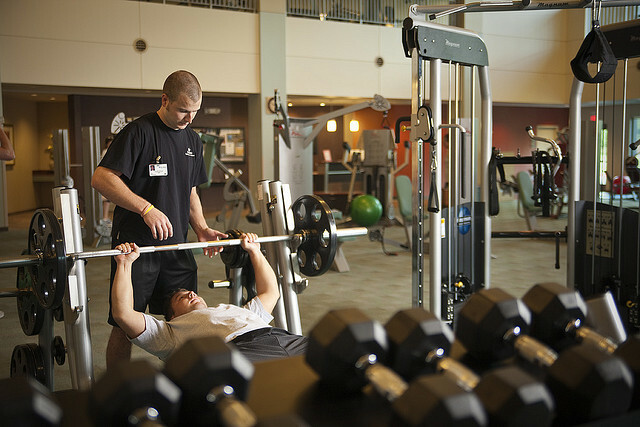 It is very important to know that weight training prevents diseases and injuries. While you lift weights you do not only improve your muscular strength but you also improve the strength of your connective tissues like your tendons. You also need to know that you can fight arthritis with resistance as effectively as medication. You can also fight diabetes with weight training as this will improve your glucose level. Women in post-menopausal phase can increase their bone density with weight training. If you feel your body not to be flexible enough then pay attention to this: weight training will make you more flexible, stable, mobile and more balanced in your daily life. Resistance training forces your muscles to stretch even further. A muscle that can be stretched is a healthy muscle. You will attain stronger and more resilient muscle groups and eventually, in your everyday life you will have a more relaxed and contented living and certainly fewer accidents. There is a strong motivation and reason Why lifting is the new running for the over-40s. Most of us would like to have a young-looking, lively and vibrant look as we grow up. Weight training can give us this look as it does prevent ageing. It stops the metabolic deterioration as we get older. While our lean muscles weaken as our body ages, weight training builds up and reinforces those muscles and does not allow body fat to replace them. You instantly obtain a healthier look and a younger feel. You enjoy the release of hormones that give you a healthier endocrine system. All the above features are indeed amazing they have a huge impact on your self-esteem. If you think that do not feel happy do much or you even experience symptoms of depression then you should start weight training. While you exercise with weights you brain releases a chemical called serotonin which immediately raises you mood, it makes you happy and it urges you to see everything in your daily life in positive and optimistic view. "Here are the latest muscle and strength coupons".